Fangirls, awhile ago I ordered a really great sample pack of soaps from Fortune Cookie Soap, a rad little independent soap company. In the sample were 11 different soap scents (for only $9.95, super cheap), and I’ve been trying them out one by one. They’ve been quite lovely so far, and this one is no different. 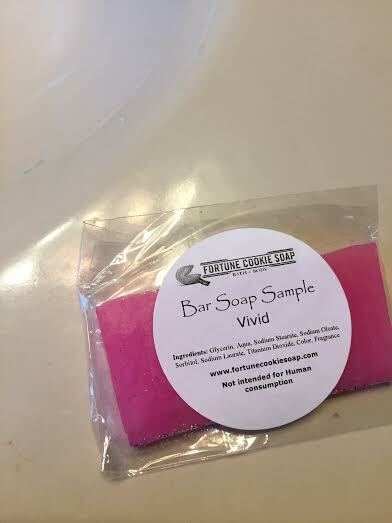 Vivid is a super tasty, sweet scent, that I was expecting because of it’s beautiful pink color, and glitter, both on the edge and throughout the soap. It’s quite beautiful, and I smell good enough to eat when I use it! I think this soap is fantastic because of the scent; it pairs really well with Lush’s Vanilla Puff dusting powder. Neither scent outweighs the other, so they just compliment each other, and it lasts for a good amount of time. The soap itself is light pink, with a cream and glittery lather. It made me feel super soft (which I always worry about). It’s nice to feel not only clean after a shower or bath, but also feel like my skin is better after soap. This soap does that for me. 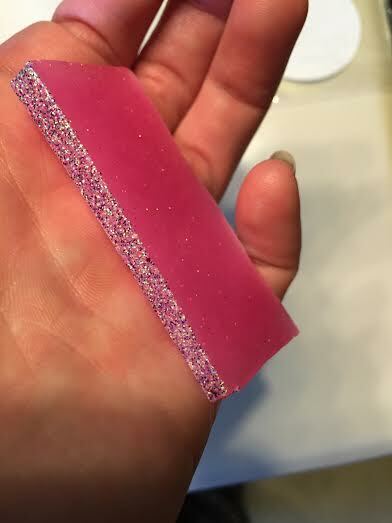 I personally am not usually a huge fan of glitter, but the glitter in this soap doesn’t stick to me after I rinse, which makes me feel better. Fangirls, if you like smelling like candy, grab this soap. It’s lovely, and I adore it. It made my showers more fun, and my skin super soft. I highly recommend either the soap itself, or the sample pack to anybody. It’s fun getting to try out different soaps all the time, without wasting them. 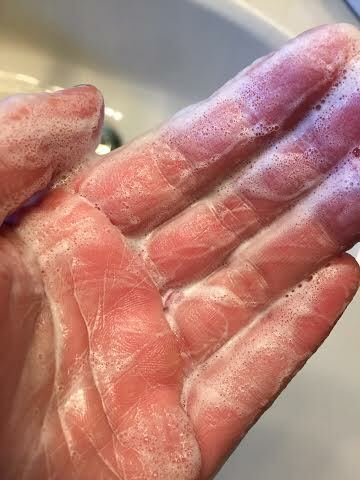 This soap lasted for six showers and one hand wash, because it was a sample. I miss it already, but I have other soaps to try out! You can buy the Fortune Cookie Vivid here, the bar of Vivid here, and the Soap Sample Pack here. It’s definitely fit for a princess, so check them out!